Available for PRE-ORDER for priority dispatch when stock arrives. ETA August. The Commercial wall fan comes with three selectable speeds. The fan has a high airflow and a durable motor of 210 watts to outlast the toughest of conditions. 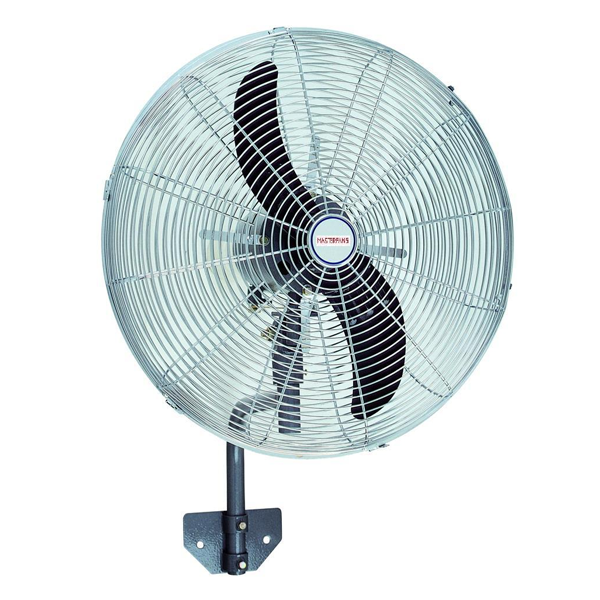 The ideal environment for the wall fan is large offices, outdoor entertaining areas, warehouses and factories. The fan has an adjustable oscillation that can be tilted vertically from side to side over a large space or stay stable in a fixed position. A 2 year replacement warranty (conditions apply). Commercial Disclaimer As this is a commercial grade product, the strength of the motor will influence the power and noise output. It is therefore not suitable for standard domestic use.